Toasted scones, tropical fruit and dried apples on the nose with briny, green summer flavor on the palate. Finishes fresh and balanced with wet stone and more summer plum. In 2014 we had a very small crop because of a freeze event in 2012 which resulted in a huge crop in 2013 and a biennial response the following year. As holistic growers, we don’t spray hormones to partially abort a heavy crop and we did not attempt to prune our way out of the conundrum, so we were left with no Spies in 2014. Enter Dave DeFisher whom we met at Glynwood, in the Hudson Valley, at an organizing meeting for New York cider apple growers. In the Fall of 2014 Dave did have Spies growing on his site in Williamson, near Lake Ontario: the banana belt of apple growing in New York. These are big old trees planted long ago and for some reason Dave held onto them even when most growers had torn theirs out long ago. 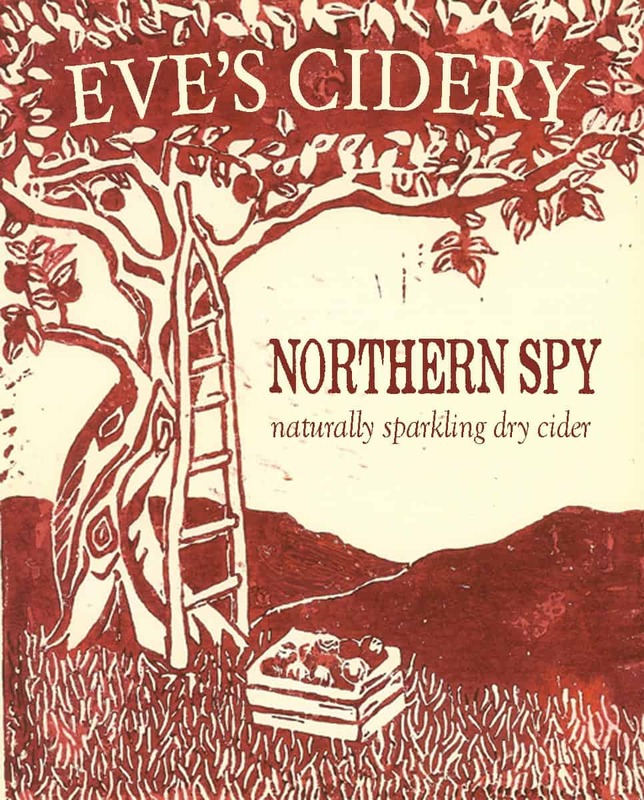 We thought it would be exciting to make cider with Dave’s Spies and deepen our understanding of the variety and its ability to express where it was grown. To our palate, the 2014 Northern Spy is a lighter, more tropical version of our Spy vintages possibly reflecting the lush site where the apples were grown. The story of the 2014 Northern Spy captures the idea of American Champagne. Northern Spy was discovered as a chance seedling growing in the Finger Lakes more than 200 years ago. Its unusual name remains a mystery. For a time, it was one of the most widely grown varieties in the state, back in the day when folks drank tankards of cider and baked their own pies. The fresh acidity and mineral characteristics of this variety lend themselves to the champagne method. Primary fermentation in stainless steel. Secondary fermentation in the bottle, followed by disgorging.